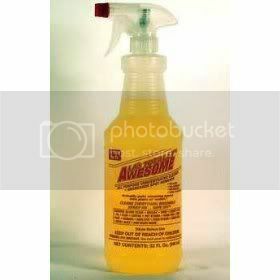 I wanted to spread the word about this degreaser/cleaning spray called la's totally awsome.it better than simple green. ive been using it on my race bikes for a few years. my engine bay on my subaru when i first bought it and my random house cleaning stuff too. if you have a DOLLER TREE or somtin like that it only costs $1.00. ill buy 8 or 9 at a time. TRY IT. i tell all my customers about it at work.